Another great cover up from La Mandarine. This hand block printed sarong can be worn in so many ways for lots of different holiday looks. 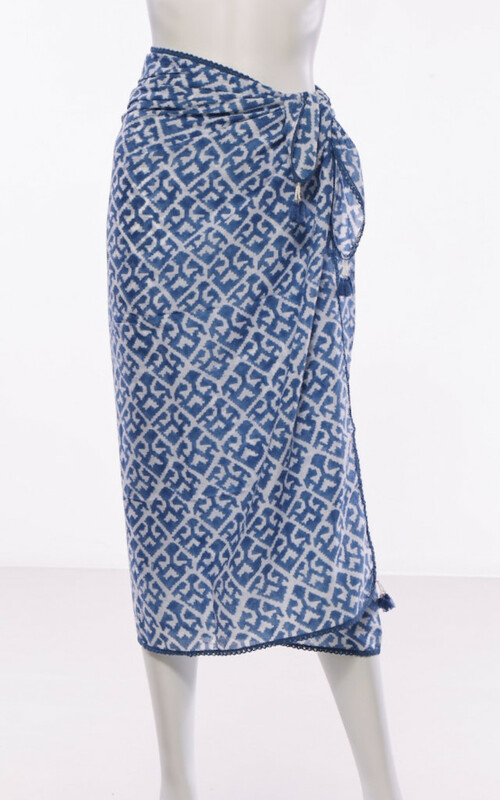 This Assam hand printed sarong is available in either a blue or pink geometric pattern on cotton voile. Measuring 1m 80 x 80 cm this sarong makes a stunning cover up on the beach. It has a beautiful hand beaded bobble trim at each corner to give it the glam factor too.